Nana ice cream or just nice cream for banana ice cream was here prepared with chocolate and red berries, topping included dragon fruit & coconut powder. Red berries and chocolate nana ice cream or nice cream. 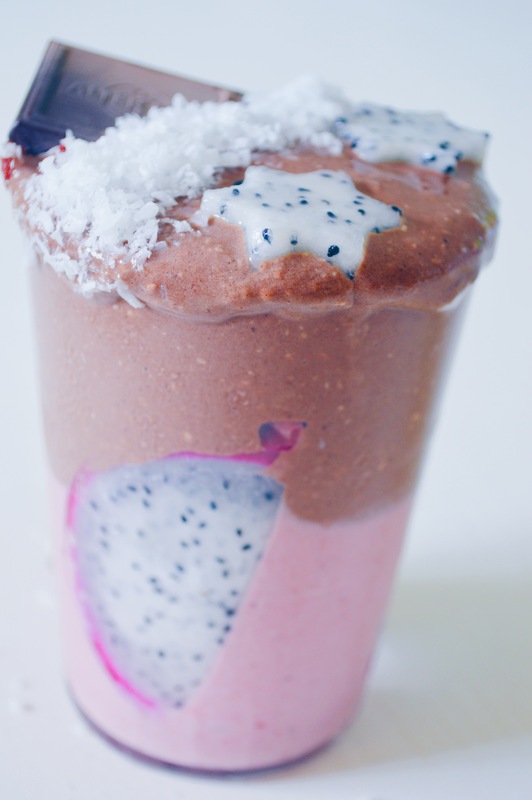 Topping is made of dragon fruit and coconut powder.